What is the thyroid and what does it do? 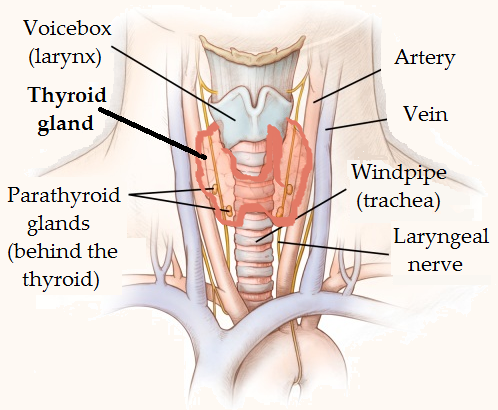 The thyroid is a small butterfly-shaped gland at the base of your throat. It is a part of the endocrine system and ensures your body uses energy at the proper rate by secreting hormones that help regulate your metabolism. If your thyroid is not functioning correctly, your metabolism may burn energy rapidly, hyperthyroidism or not quickly enough, hypothyroidism.